Known by locals as one of the "MUST DO" festivals in Northern Virginia, the Occoquan Spring Arts & Craft Show is another enticing reason to experience a fall getaway in Prince William, Virginia. This award-winning festival hosts hundreds of arts, crafts and design artisans from around the U.S. Visitors can shop for one-of-a-kind, handcrafted items and enjoy a variety of festive activities. Our guide offers tips and tricks to help you fully experience this unparalleled festival in Prince William, Virginia. 1. What is there to do at the Occoquan Arts & Craft Festival? 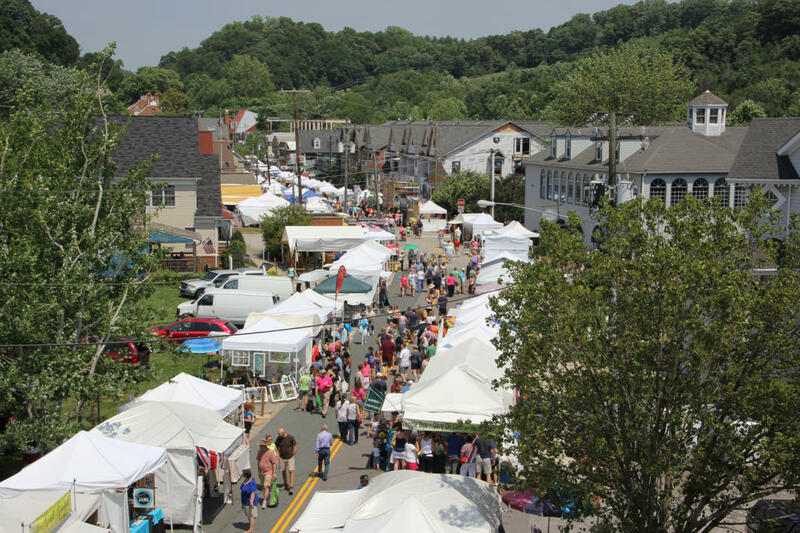 Unlike other festivals, the Occoquan Arts & Craft Show has a 50-year tradition of experience, attracting over 10,000 visitors to their annual Fall and Spring events. Festival exhibitors showcase handmade items including fine art, pottery and ceramics, jewelry, home décor, gourmet food items, bath and body, baby and children’s items, digital art and graphics, pet products, wood crafts and furniture along the streets of historic Occoquan. The town&apos;s charming and unique shops are also open for business. You&apos;ll want to hide your calorie counters and bring your appetite. Savor each mouth-watering morsel as you explore the variety of food trucks, food tents and local restaurants available. Beer Garden & Live Music! Enjoy live music, games, and a beer garden at River Mill Park on Saturday, June 1st, from 12pm-5pm! The beer garden will feature local craft brews from Water&apos;s End Brewery and music by Just Wanna Play. There will be plenty of food trucks and food tents for you to choose from. Tables and chairs will be provided in the park. Coming Soon: Detailed Schedule of Events. 2. WHERE IS OCCOQUAN AND HOW DO YOU PRONOUNCE IT? Occoquan is a small town in Prince William County, Virginia that was established in 1804 that was known for its grist mills and tobacco warehouses. The Merchant&apos;s Mill in Occoquan was the first automated grist mill in the nation (but was later destroyed by fire). The post office in Occoquan was also where letters from the North and South were exchanged during the American Civil War. River silting and a shift to using railways to move items, reduced overall ship traffic to Occoquan. 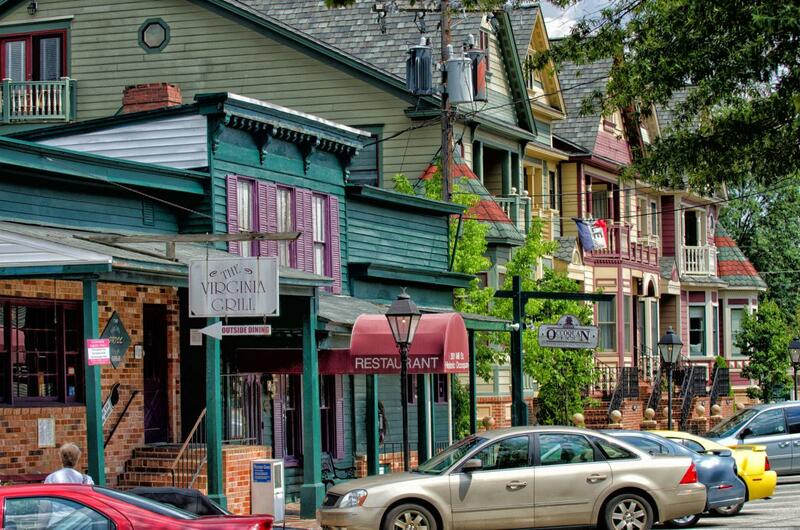 The town transformed and now thrives as an artistic community with unique shops and restaurants set amongst picturesque views of the Occoquan River. The Town of Occoquan is pronounced like OCKA-KWON and is derived from an Algonquian Doeg Indian word meaning - "At the end of the water". 3. WHERE DO I PARK FOR THE OCCOQUAN ARTS & CRAFT FESTIVAL? To make room for the many exhibitors, food trucks, and family fun spots, the town shuts down the streets of the small town. Patrons may park at designated lots listed below and be transported by shuttle bus into Occoquan. Off-site parking with shuttle bus service is available at the Workhouse Arts Center; Lake Ridge Commuter Lot; Route 123 Commuter lot; and the I-95 Commuter lot. There is a $5 round-trip shuttle fee payable at the event drop-off; kids 12 and under ride free. The bus shuttle begins early and ends approximately 1 hour after the festival ends. Non-service animals are prohibited on the shuttles. Remember your lot color for the return trip back to your vehicle. Shuttle buses are wheelchair accessible, therefore satellite parking may be an option. Patrons may opt to be dropped off at a shuttle stop and have a driver park at satellite parking. The Yellow shuttle stop (under the 123 bridge) is the flattest area for wheelchairs. Handicap accessible parking is available in town under the Route 123 Bridge, accessible by Poplar Lane during the run of the craft show. Handicap accessible parking is also available on Commerce Street. Patrons wishing to use this space should travel in on Washington Street, where they will be directed to spaces by police. Please note that there is a hill from Commerce to Mill. 4. I haven&apos;t been to Occoquan in years. What&apos;s New? Occoquan is an artists&apos; community filled with over 100 shops. This charming town combines over 250 years of history with the modern attractions of shopping and dining. Occoquan offers everything from antiques, arts, crafts, fashions, gifts and more all in unique specialty shops. If you’d like to learn more about the town, visit on May 18, 2019, for the Discover Occoquan event where over 30 businesses will host a variety of free drop-in classes and demonstrations as well as showcase the town’s history and the works of Occoquan’s many talented artists. 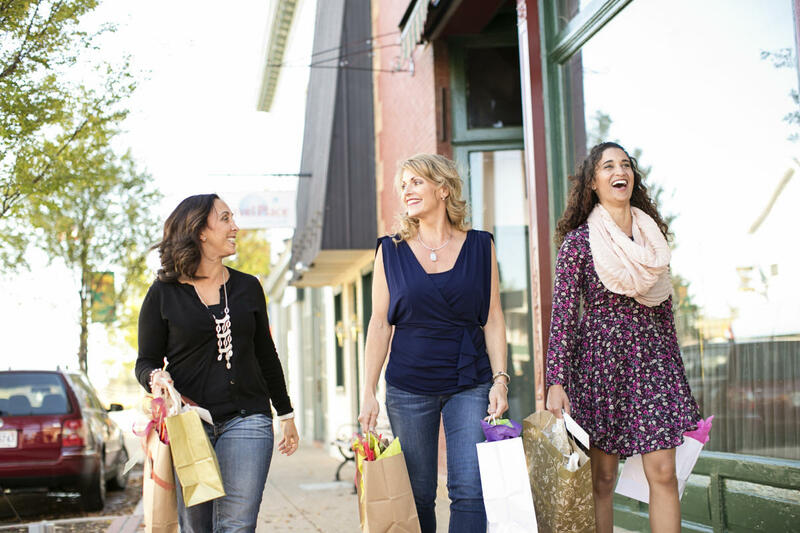 Visitors are invited to browse the town’s unique shops, boutiques, galleries, restaurants, and cafes and experience all that Occoquan has to offer. 5. Any must-do/ must-see attractions while visiting Occoquan? Coming for the Arts & Craft Festival? Make it a weekend getaway. Whether you’re looking to stay close to Occoquan or one of our many attractions, Prince William, VA offers a wide variety of options for you to choose from. Julie Little has been the Events and Community Development Director for the Town of Occoquan for two years and in that time has truly enjoyed working within the community of this charming and unique historic town.